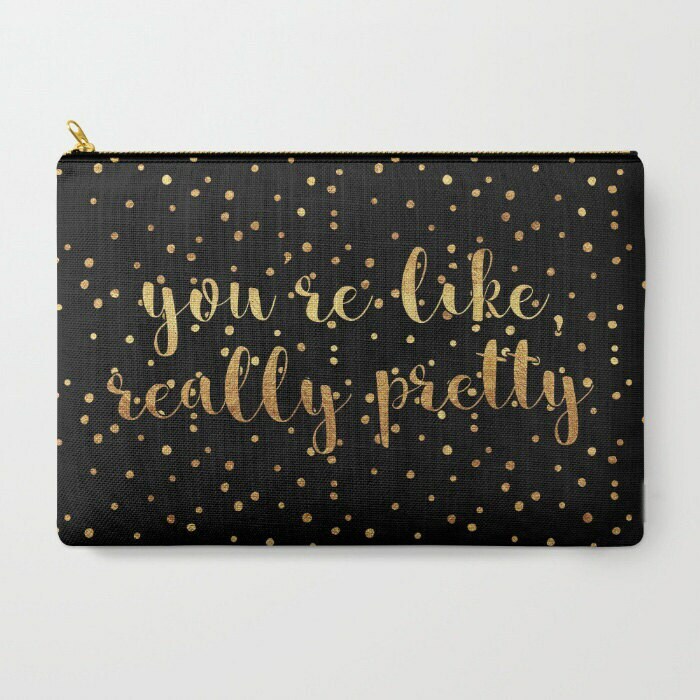 Black background with irregular gold foil-look polka dots and gold foil-look script "you're like, really pretty". 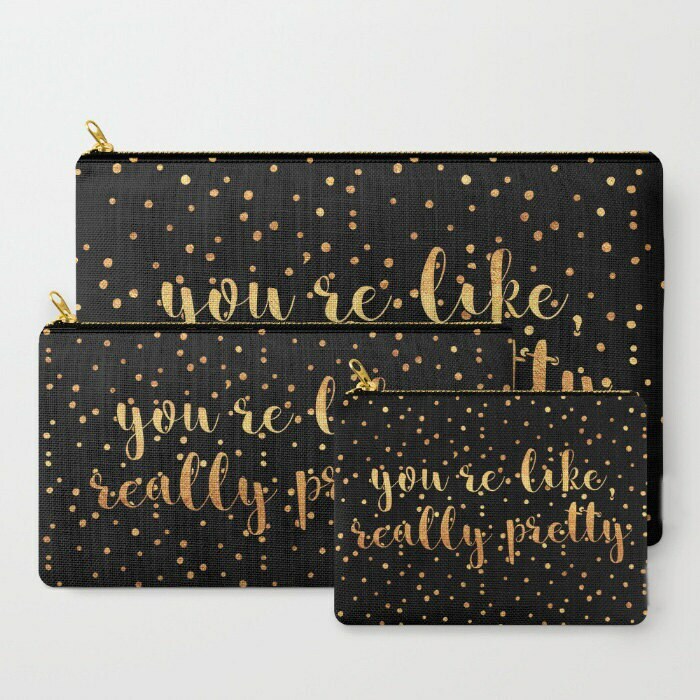 I thought this bag was the cutest thing... however the writing does not have a "gold foil look" as it is pictured in the shop. It looks almost yellow. 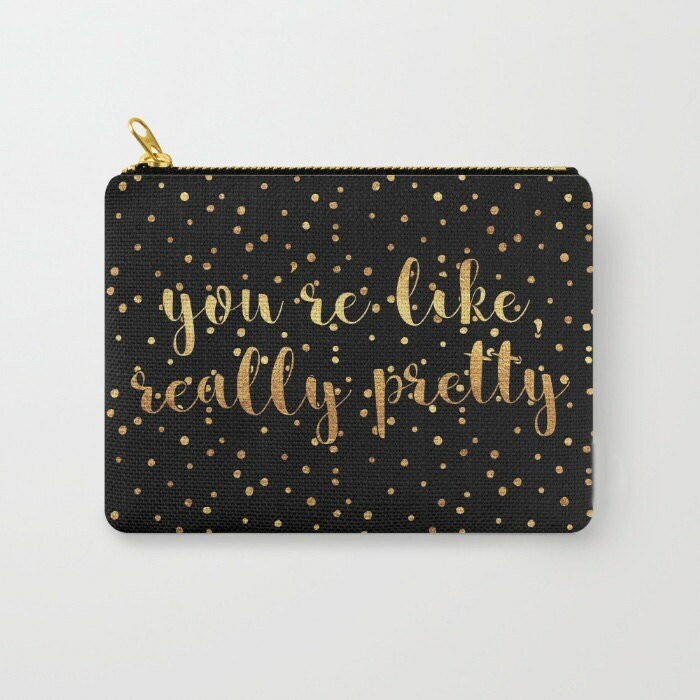 Not at all the beautiful gold color I was expecting at all... 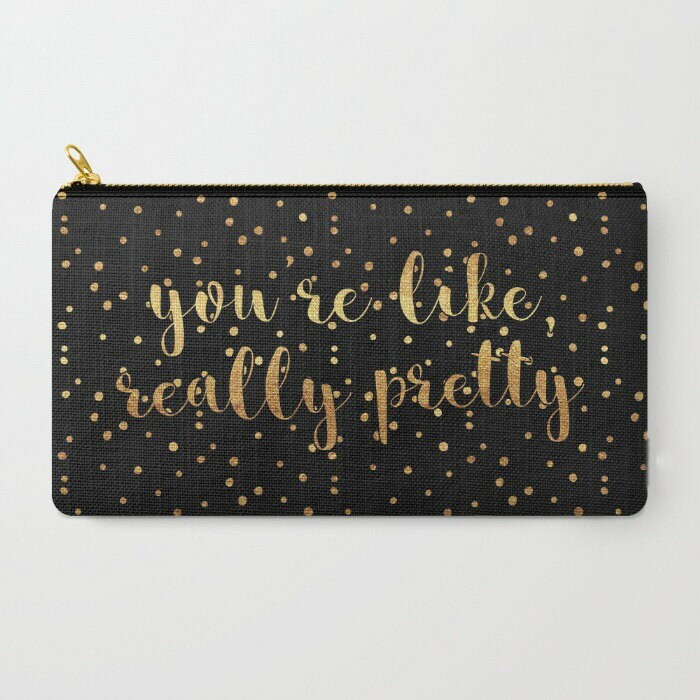 Especially for a bag I paid $30 for.. Pretty disappointing.